David Rubenstein became a Darfur activist after reading a column by Nicholas Kristof in the New York Times. 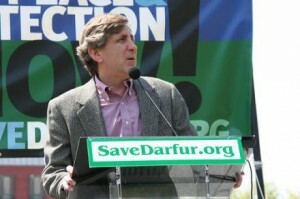 He was the founding executive director of the Save Darfur Coalition. Today he is the founding executive director of the Best Shot Foundation, which is devoted to saving the lives of the world’s most vulnerable children by forging a dynamic grassroots movement to defeat global childhood pneumonia.